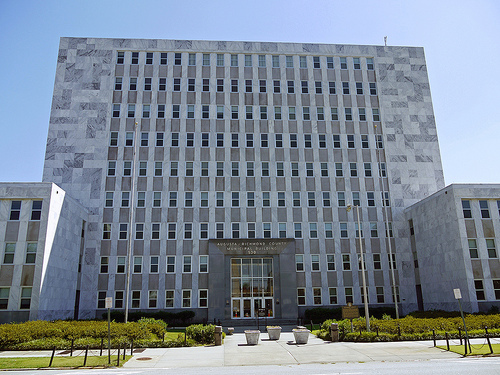 Augusta commissioners voted 6-1 earlier this evening to hire an outside auditing firm to conduct the annual audit of city finances required under state law. For the past 13 years the contract has gone to the local accounting firm of Cherry, Bekaert and Holland. But now a Macon, GA based firm, Mauldin & Jenkins, will take a look at the city’s books. Some commissioners argued that a non-local firm would be more independent and resistant to pressure from individual commissioners and local interests, and that it was good to rotate the contract among different firms instead of always giving it to the same local firm year after year. The vote was not easy though. It took 3 tries to get it passed. The first motion failed in a 4-4 tie. Then a second motion also failed in a 4-4 tie. Commissioner Joe Bowles says it was a “slap in the face” to local accounting firms to to award the contract to an out of town firm. Commissioners were reminded that failure to choose an auditing firm could result in the city losing all state funding. Then Commissioner Corey Johnson brought forth a 3rd motion near the end of the meeting at 7pm. By this time Commissioners Alvin Mason and Matt Aitken had left the meeting. Commissioner J.R Hatney was absent from today’s meeting. The third time was a charm and commissioners passed Johnson’s substitute motion to award the auditing contract to Maulden Jenkins. This time the vote passed 6-1 with Grady Smith as the sole dissenting commissioner. The Divine Spark Of The Ancient Mystics Can Overcome the World – Feel it? A born again spirit simply is. 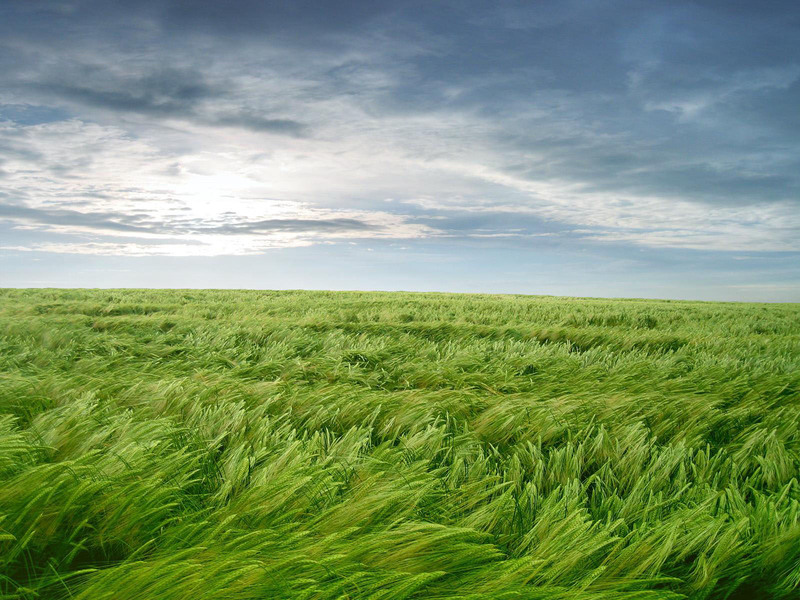 There is difficulty in explaining it, because the spirit is like the wind. You cannot tell where it comes from or where it is going. You cannot see it, yet you know it is real and great of force, for it moves the trees and makes mountainous waves. The spirit within each of us is transformative. It has the power to turn the meek into the strong, the arrogant to the obedient, the angry into the calm, and the sinner into the saved. Just as the wind was harnessed to move the great sailing ships, even the fishing vessels of Jesus’ day, the Spirit can be drive men to greatness, band them together in movements toward God, and transport whole nations to freedom. Christians know this power in our lives, see its effects on ourselves and others, feel its unifying strength, and we Americans live in a country brought to greatness on its perseverance. How our new birth is accomplished by the Holy Spirit might be incomprehensible to us but we know that it is possible. The wind shifts to blow in different directions – we see its influence in the bending of the tree limbs, we hear the sound, and feel it upon our skins and through our hair – but we cannot detect the air itself. We only know that it is by the effects which it makes evident. “So is everyone who is born of the Spirit.” The results are as noticeable and as sensible as those from the wind; but the Spirit itself we cannot see. Yet one born of God senses that he was so born. The parent of his new birth, the Spirit itself, shows witness in his individual spirit, that he is born of God. Not only does he see it in himself, but also in others. The notion that each of us holds a “divine” spark, or inner spirit, came into vogue as early as the 4th Century, reaching a crescendo – like the building wind – in 14th century Germany. Perhaps the premier of the German mystics was Meister Eckhart. ” … in him we find religion expressed in its purest form, a form which goes back in its spiritual experience… The church in his days had failed to see this….But it seems they have condemned Eckhart because his mysticism was a threat to the church. In him religion became too personal. They felt that Eckhart’s mysticism could alienate the believer from the hierarchy of the church, because salvation was not dependent anymore on church membership and church rituals, but on the will of the believer to get into a close relationship with the god inside.” Eckhart was under trial for heresy when he died in 1329 and was branded a heretic by the Roman Catholic Church for seven centuries. It wasn’t until 2010 that the Vatican revealed that the sanctions against him had been lifted and the orthodoxy of Eckhart’s teachings acknowledged. Politics has always reared its ugly head in everything, hasn’t it? Nothing is supposed to be possible outside of their hierarchy, their statism, and their power. This is why John 3:8 holds such appeal, as it did for those mystics: our salvation doesn’t depend on THEM, it resides within, a smoldering spark awaiting ignition. It is an ember that glows hot at times and wanes at times, but as long as there is life it is there. The best of us Christians sometimes starve it and we realize our mistake, hopefully before it is too late. A church of one, salvation dependent upon no other, a divine spark within, and a confidence in these things free of wanting or even needing to know from whence it came is the truth of John 3:8. Even the unruly, unstructured Baptists have trouble with it. You shouldn’t. Feed the power within yourselves, show it to the others, and watch it become a world changing unity candle that will overcome the dark days mankind’s folly and sin have brought. On the wind, mightier than the wind, and more forceful than the wind – let that be your divine spark. Let’s all come to our senses. I can feel Him in the morning. Yesterday I spent some time in an archery shop with a friend who has a new-found interest in bows and arrows. On the wall was a banner promoting a local group of Christian archers. Seeing it prompted me to look into the Bible for accounts of archers, their lives, deeds, and legacies. One source indicated that “Arrow” or “Arrows” is found 57 times in 53 verses, “bow” 70 times in 66 verses, and “Quiver” 7 times in 7 verses. Most, of course, are found in the war, wrath, and judgment of the Old Testament. The story started out to be troubling. The verse above was about Ishmael, disavowed son of Abraham whose life as an archer began with his banishment from Israel with his mother. The Lord promised that Ishmael would be the father of a great nation. In Genesis 17 it is said that he became the father of 12 princes. 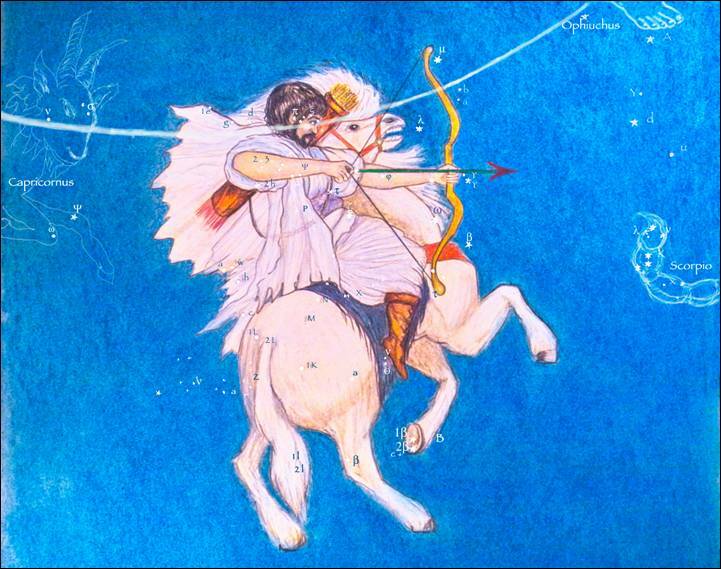 Islamic tradition – Ishmael appears in the Qur’an – holds that Ishmael was a master archer, a prophet, devout man of worship, and patriarch of Islam. The words were wonderful to a life-long bow hunter, but my troubles grew greater. These verses were those of an aged and weak Isaac imploring his favorite son Esau, a great hunter, to take a deer with his bow, prepare it, and bring it as father’s sought –out meal. As it turned out, Esau’s commanded hunting trip presented an opportunity for his mother, Rebekah, and twin brother, Jacob, to trick old Isaac into conveying his blessing on Jacob. Earlier, in a bout of hunger Esau had foolishly sold his birthright to Jacob for some pottage. To use a Southern expression not relegated to just we archers, Esau bowed up. He was so angry that Jacob had to leave for exile. Esau ended up with Isaac’s estate and flocks. Years later the twins reconciled and Jacob became the patriarch of Israel. In this story, one of redemption for a wayward king, the arrow was a symbol of victory to come over Israel’s enemies. The striking of the arrows on the ground thrice was prophesy of three victories over the army of Aram. Not enough arrows struck. Now we are getting somewhere. To achieve ultimate victory requires the use of many arrows, generally with plenty of reserves. Hunting buddies of this author can attest that the mistake that Jehoash made has no relevance at all to the author’s life. Challenges are nearly always surmountable if one looks to have plenty of sharp solutions ready for deployment and activation. Sometimes the hidden ones in reserve are even more powerful. Ultimately it is the unknown and imaginary ones that bring the adversary to a reckoning. There are many tales of overwhelming forces of archers and arrows in the Bible. Second Chronicles 17: 17 includes reference to a leader of the tribe of Benjamin named Eliada,” a valiant soldier, with 200,000 men armed with bows and shields.” It took more than one quiver of arrows in those days, too! Our final archer is one of this writer’s favorite characters in the Bible, Jonathan, the devoted friend of David, who readily and even eagerly subordinated his own claim to the throne of Israel to his best friend, to the point of repeatedly incurring the wrath of King Saul, his own father. 16 So Jonathan made a covenant with the house of David, saying, “May the LORD call David’s enemies to account.” 17And Jonathan had David reaffirm his oath out of love for him, because he loved him as he loved himself. 18 Then Jonathan said to David, “Tomorrow is the New Moon feast. You will be missed, because your seat will be empty. 19 The day after tomorrow, toward evening, go to the place where you hid when this trouble began, and wait by the stone Ezel. 20 I will shoot three arrows to the side of it, as though I were shooting at a target. 21 Then I will send a boy and say, ‘Go, find the arrows.’ If I say to him, ‘Look, the arrows are on this side of you; bring them here,’ then come, because, as surely as the LORD lives, you are safe; there is no danger. 22 But if I say to the boy, ‘Look, the arrows are beyond you,’ then you must go, because the LORD has sent you away. 33 …. Saul hurled his spear at him to kill him. Then Jonathan knew that his father intended to kill David. Jonathan’s arrows that time were not of lethal intent. They were a signal, just as Jehoash’s arrow was a sign. They were symbols of present danger but a brighter future to come. For our archers, that future was not always on of personal good fortune, as Jonathan was killed in battle with his brothers and his father, Saul, died from arrow wounds. These biblical archers might not have become the dominant figures of their generation, but they contributed mightily to what biblical patriarchs became. Now is our time. Do you wisely store arrows of thought for times of need? Do you judiciously use them in service of God and mankind? Are you brave enough to enter the battles to come as America faces multiple perils? Could you steel yourselves to a supporting role behind a greater good, just cause, patriotic duty, or even some revolutionary leader? Doing these things are the stories of our religious past, our national legacy, and perhaps the key to our survival as a people. Jonathan was a hero of Israel in his own right, having bravely faced down the Philistine army before David ever confronted Goliath. Yesterday, the archery specialist at that outdoors store, showed how a true arrow has no wobble and is incredibly straight. A true arrow flies straight to the target. Jonathan wasn’t just a true arrow, he was a perfect arrow. We should all strive to be that way. Most people never climb a tree past maybe the age of twelve, but some of us frequent assorted oak, pine, poplar, hickory and even cedar trees all the way past age 60 in pursuit of the wary whitetail deer. One hasn’t lived until he is so well hidden up in the boughs that a squirrel jumps off on his trousers or a raccoon climbs onto his head. This writer has been accustomed to using a camouflage head net for years, even after a sharp-clawed squirrel leaped onto one late one afternoon and got his toes caught in the mesh. Hat, net, and rodent quickly hit the ground that time! In Luke 19 we begin with a man coaxed out of a tree and we end with flogged sinners coaxed to flee. It is one of the most juxtaposed books in the Bible and it introduces us to Zacchaeus, whose descent to the ground was much gentler than my squirrel friend’s was. The story is taken today from the Biblegateway’s New International Version of the Bible. 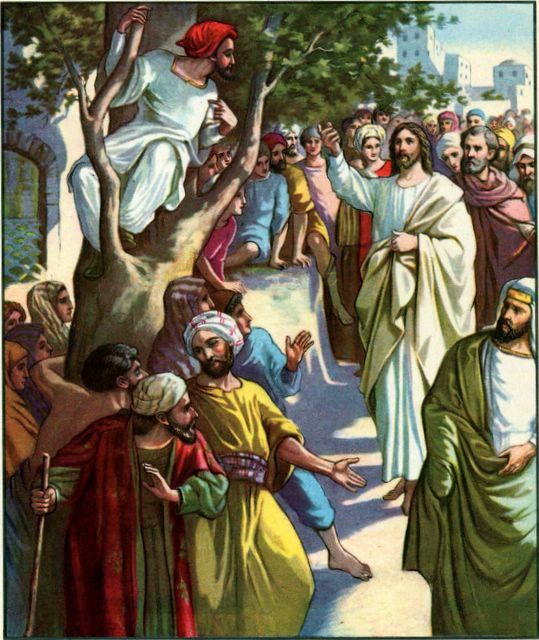 Zacchaeus had literally a lot of short comings that made him a most unlikely character to find himself in a tree that day. He was rich. He was influential, backed by the powers of the state. He had to have been uncompromising and seemingly unfair to the crowd. It doesn’t imply this in Luke, but one reason he might have had to climb up there was his unpopularity. The disdain of the crowd was clear. This man had one redeeming act – he sought Jesus, despite his riches, status, and power. He sought truth and understanding that was alien to his creature comforts, wealth and previous life experiences. In an instant he found release and came down from his lofty perch to a new life that was freer, richer, and forgiven with respect to his past sins. More to the point, Zacchaeus did something pretty rare even in the New Testament, he embraced the Second Commandment of Jesus and loved his neighbors as well as he did himself. There is a message in this simple, short story for us and for our day. It is this – worldly things are fleeting – seek the forgiving power of Jesus and act with love to your fellow man. In these times, when civilization and even the rule of law enabling existence of society are threatened, we have each other and His teachings to save us here and beyond. Luke 19 closes with the only time recorded that Jesus grew angry, even to the point of violence. This story is also found in the 11th Chapter of Mark. 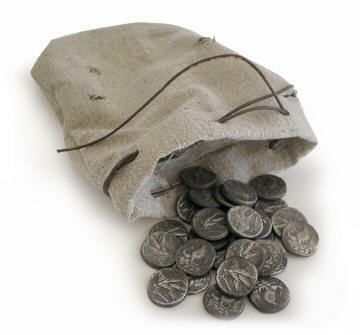 It was one thing to be a morally depraved tax collector, then to seek Jesus and Truth, but quite another to usurp a holy place to conduct similarly immoral business-as-usual by folks who probably paid the erstwhile religious ‘leaders’ generous bribes for their vending spaces. Give up your riches to enter the kingdom was Jesus command, not betray the kingdom for earthly riches ill-gotten or stolen in the temple. The story begins with a tax collector who swore off his swindles and ends with the money-changing temple tax financiers bearing the wrath of Jesus. Isn’t it strange that the Old Testament is replete with the anger of God, yet the testament of Jesus shows this one exhibition of anger complete with hostile actions on His part? How great and unforgiveable must the transgressions of the money-changers have been? Today America has been brought to her knees by the most pernicious of money changers, financial charlatans, and outright thieves to ever walk the earth. We often hear the admonition, “What would Jesus do?” In this situation, it seems that the instructions are radically different from that of healing through forgiveness. We have money changers who have overturned our precious constitution and have turned our land into “a den of robbers!” Will Christ excuse our tolerance of evil to hold onto our cushy lifestyles, as Zacchaeus was certainly tempted to do, or does he expect us to defend our lands, our patriot-won freedoms, the Constitution and his teachings, even his example here, from the wicked, power-grabbing, and mendacious opportunists we see? In what most of us were taught about free markets, people were free to fail, with those who did so more-or-less gracefully accepting their diminished fortunes for the remainder of their days. The powerful and connected of our day seem to have other objectives, most of which will end in the enslavement of everyone else as they rush to use politics to make themselves whole in their money and power. The message from Luke 19 is probably as forthright as such a contrarian tale from the New Testament can be. Hate the sin’ and love the repentant sinner who seeks grace, but spurn those who assume entitlement to grace because of espoused religiosity or clerical position while subverting our most revered principles to their greed. The singular teaching that money changers in our temples are not to be tolerated at times must be revived. By Brother Al Gray, the High reverend of The Church of What’s Happening Now. Sunday Sermon: The Blood Money of Judas – It’s All Ours Now. Today’s message will not be light. It carries leaden words that may be mindful of Jonathan Edward’s Sinners in the Hand of an Angry God. It was not written in humor, jest, or any frivolous sense. We are all Judas. His story is of greed, betrayal, anger, and despondency. Ours is the same. We are at the Betrayal stage. Sadly most will make the choices that Judas made. Some won’t. In which group will we be? For brevity let’s turn to this saddest of men in Matthew 26, verse 14 in the New International Version. Next Mark 14, 43-48 tells of betrayal and anger. 44 Now the betrayer had arranged a signal with them: “The one I kiss is the man; arrest him and lead him away under guard.” 45 Going at once to Jesus, Judas said, “Rabbi!” and kissed him. 46 The men seized Jesus and arrested him. 47Then one of those standing near drew his sword and struck the servant of the high priest, cutting off his ear. Finally, Matthew 27, 1-6 tells of abject despondency. 1 Early in the morning, all the chief priests and the elders of the people made their plans how to have Jesus executed.2 So they bound him, led him away and handed him over to Pilate the governor. About now you are thinking, if I am Judas, where are the 30 pieces of silver? Who is it that I am betraying? Back in those days, money was silver or gold. Today it is electrons or paper. Later in Matthew 27, verse 6, the biblical Judas’ silver was referred to as “blood money.” What is our blood money? This writer submits that it is our entitlements. Readers might think “I have no entitlements!” at the same time they grouse that “48% of the USA receives a government check!” Therein lies the thorny truth. Nearly 100% of the people in the USA has at least one entitlement, some have 5 or more. Most folks the author’s age see Social Security as earned, not an entitlement, choosing to forget that we let the fund be raided by politicians decades ago. Throw in Medicare, government retirements, FDIC insurance, credit union deposit insurance, federal pension insurance, and everything else and you might begin understanding. Yes entitlements are our blood money and the amount of it exceeds $210 trillion, as Economist Lawrence Kotlikoff claims. This is more than $680,000 apiece for every one of us! Now that we know we all are expecting blood money, who and what is being betrayed? The easy answer is future generations. To think it will be limited to them is wishful thinking. We have betrayed each other, our beloved Constitution, and the basic foundations of a functioning, civil society, with our ceaseless, unwitting, and unlimited demands that government create ever increasing seas of blood money! Judas had blood money. If you think ours isn’t very literally blood money, look at where it is to come from and the impossibility of peacefully extracting it! Yes, brothers and sisters, we are caught heavy handed in betrayal, having taken blood money to satiate our greed and politics to make it flow universally. Next will come anger. Matthew and Mark reported that one of those accompanying Jesus drew his sword and cut off the ear of one of the high priest’s servants. John reports that the swordsman was Simon Peter. The anger then and the armaments then were from one. We have millions of the betrayed with millions of guns and billions of rounds of ammunition. Can we belay and control this anger? We must try. The alternative is too terrible to contemplate. The final acts of Judas were recognition of how horribly gone wrong with greed he had become, despondency in that knowledge, and taking his wasted life under an overwhelming pall of grief for his treachery. What will it be for us? Will we force violence, war, and even servitude for our children, grandchildren, and future generations as Nehemiah was seeing in his day? The Constitution would have protected them and us from our avarice. The Constitution would have continued to guarantee their freedom and ours. The Constitution demands the rule of law, central to every functioning society since creation. We gutted the Constitution and one day will feel the lament of Judas from having betrayed that product of the sacrifice of so many heroic Americans. Look what is happening. MF Global, a trusted primary dealer of the Federal Reserve Banking system, just stole $1.5 billion in cash from customer accounts. The CEO, a former US Senator, faces no charges. Closer to home, a publishing magnate and his lieutenant lost $150 million and saw remaining assets placed in receivership, only to turn to the generous teat of local government with separate real estate holdings to milk $50 million in free buildings and equipment, plus $600,000 a year to operate them! Many aging unemployed are reaching for disability pay. The banks that largely caused the financial crisis are flooding toxic assets under the FDIC entitlement umbrella. No nation can withstand these things! What of those entrusted with positions of leadership and trust? Jesus had to face a corrupt high priest, remember? Sadly, even our ministries of today are so dependent upon our corrupt monetary system, that their voices are bought off and silenced. The accounting rules mavens have responded to the epic fraud, not with outrage, but with surrender in the form of making fraud ‘legal.’ We won’t even mention the politicians. There is hope and there may be a bright end instead of the despondency of Judas. We have each other. We can change. We have the Bible. We can regain our faith. We can restore the constitution. It was too late for that Judas. We still have time. Besides, our blood money doesn’t really exist no matter how much political power is exerted. Soon it will all be gone. Math says so and math stands next to God. God says so, too, but you have to listen. We made one heck of a mess in pursuit of Judas. We must resolve not to carry it through to the same end. Jesus showed us the way and the path to follow. Count your blessings. All the money that turned us, every one, into Judas is gone. This will be plain very soon. You will see. Let’s send the greed, anger, violence, treachery, and despondency of Judas with it. We will work harder than we ever imagined in our old age. We will ache. We will hurt. We will die out, one by one. Justice will reemerge. We won’t die like Judas. We won’t die as slaves. The next generations will be free. America will rise again. God Bless America! Every One Raised Up; Walk!